A beautiful two door, three drawer mirrored wardrobe, perfect for the modern home. No assembly required. Standing almost 6 foot tall, this fine piece of bedroom furniture has plenty of space in the top half for hanging garments and the lower section contains three deep drawers. The handles are all made from polished aluminium. 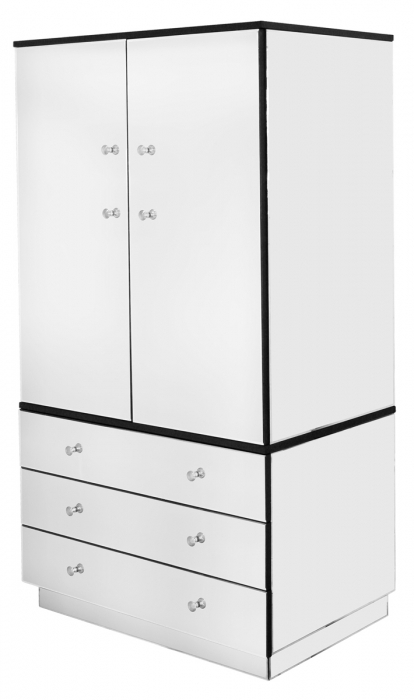 The wardrobe does not require any assembly apart from attaching the handles.